Video posted April 28, 2015 in Thon 2015 by Michael Katz. Video posted April 28, 2015 in Thon 2015 by Michele Whalen . Video posted April 28, 2015 in Thon 2015 by Rebecca Lindenberger. posted February 25, 2015 in Thon 2015 by Centre County Report. Photo posted February 24, 2015 in Thon 2015 by College of Communications. Video posted February 23, 2015 in Thon 2015 by Centre County Report. Photo posted February 23, 2015 in Thon 2015 by ComRadio. 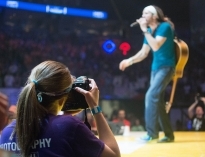 Photo posted February 22, 2015 in Thon 2015 by College of Communications. Video posted February 22, 2015 in Thon 2015 by College of Communications. Story posted February 22, 2015 in Thon 2015 by College of Communications. Photo posted February 22, 2015 in Thon 2015 by ComRadio. posted February 22, 2015 in Thon 2015 by Centre County Report. Video posted February 21, 2015 in Thon 2015 by Centre County Report. 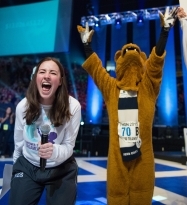 Story posted February 21, 2015 in Thon 2015 by College of Communications. 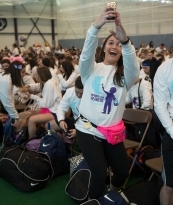 Photo posted February 21, 2015 in Thon 2015 by College of Communications. Photo posted February 21, 2015 in Thon 2015 by ComRadio. #InstaTHON asks: Who Do You THON For? 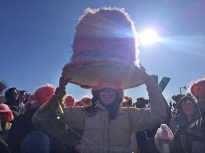 Photo posted February 20, 2015 in Thon 2015 by College of Communications. Story posted February 20, 2015 in Thon 2015 by College of Communications. Story posted February 20, 2015 in Thon 2015 by ComMedia. Video posted February 20, 2015 in Thon 2015 by Centre County Report. Video posted February 13, 2015 in Thon 2015 by Centre County Report.